It does not always necessarily need to bet he biggest, the most expensive and most beautiful, does it? A thinking that is true of many fields. 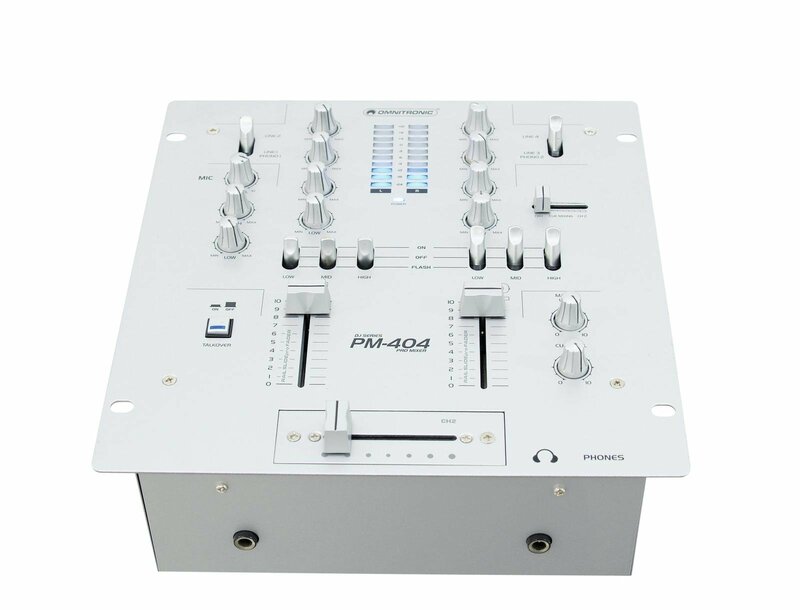 Our OMNITRONIC PM-404 DJ mixer sets an appropriate example. 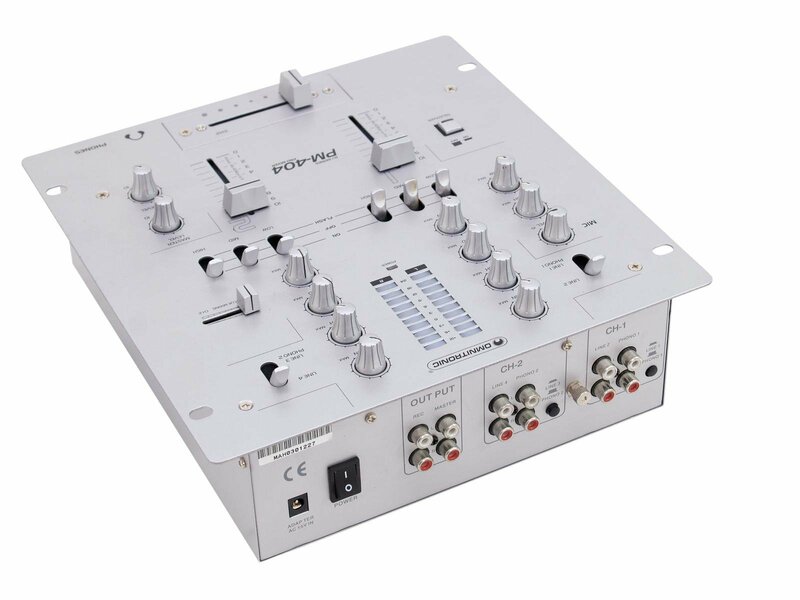 Because like cars, cameras or televisions, DJ-mixer do as well offer bigger and smaller versions. The own demand is the decisive factor. 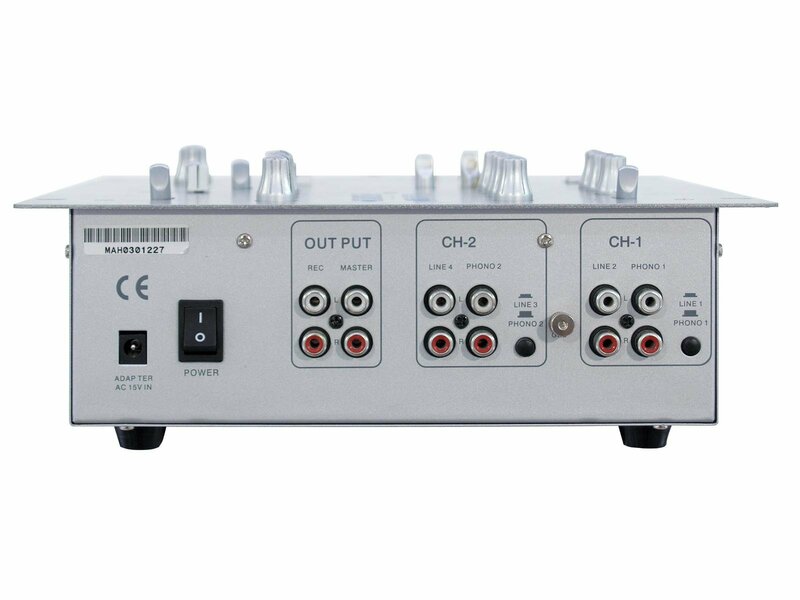 You need a reliable, solid standard mixer with current standard features and an appealing design? 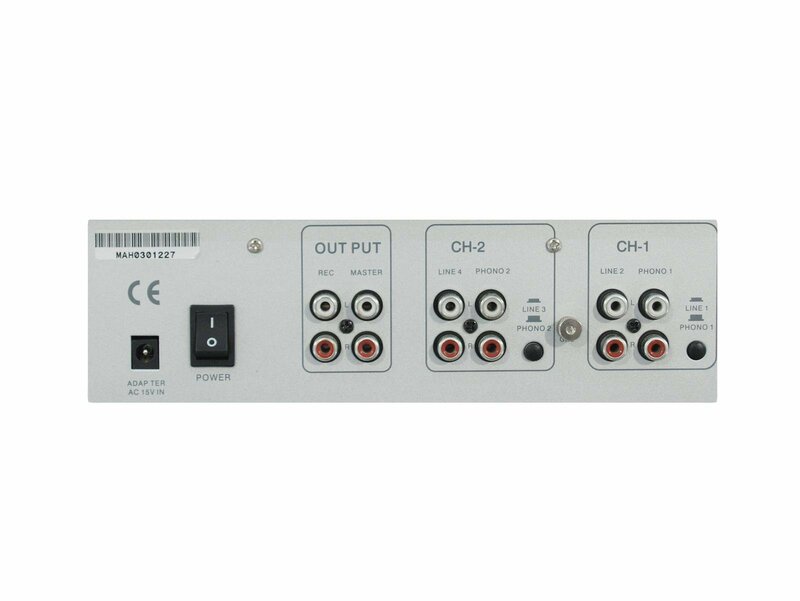 For you two input channels with gain control and a 3-way equalizer, one microphone channel with a 2-way equalizer and talkover function, a replacable crossfader, super-smooth channel faders, a 10-digit stereo LED level meter and master level control, two switchable line/phono inputs and a headphone input of course are enough? 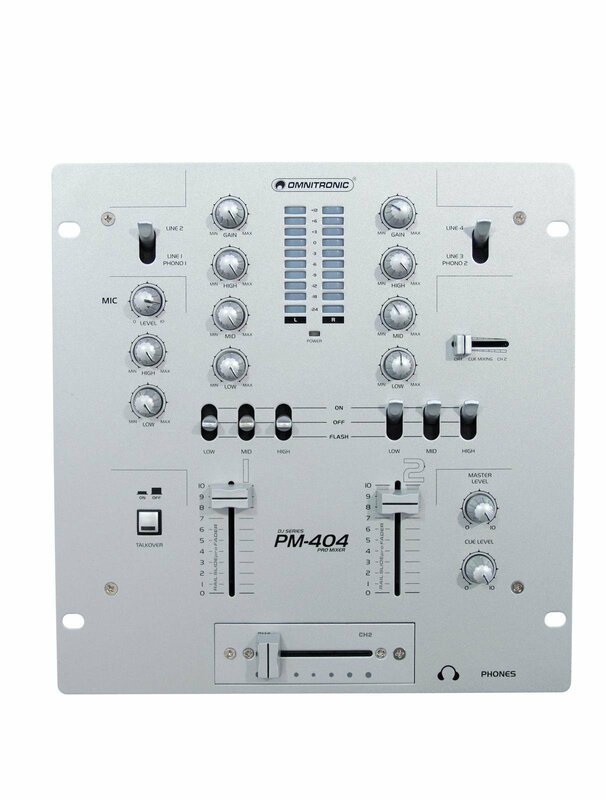 Then the PM-404 is your choice. 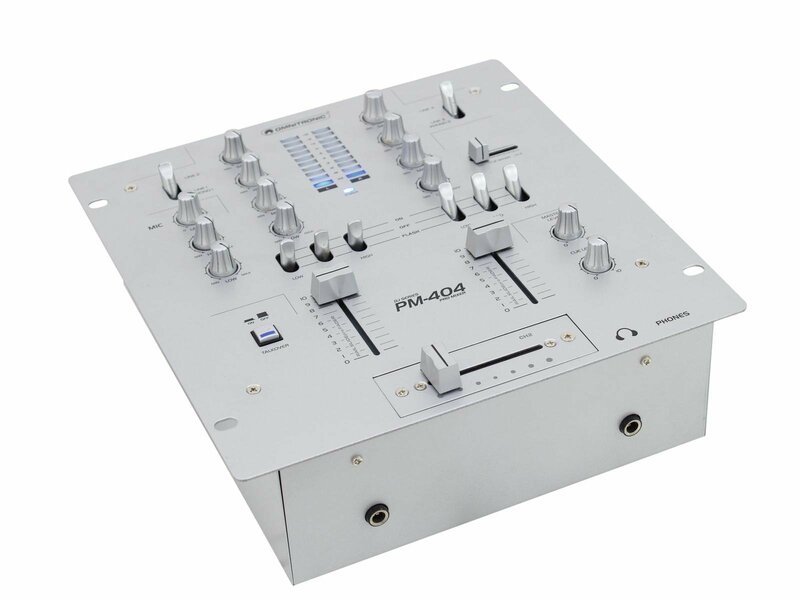 Because this mixer is an uncomplicated and unexpensive alternative for the home mixing area as well as for a bar with DJ. Sometimes it doesn't need more to be satisfied!